General frost areas for the morning of September 4, the morning we sent out the frost action alert. Click to enlarge. The next morning, September 5, heavy frost touched down in parts of Saskatchewan’s Black Soil Zone and in seemingly random parts of Western Manitoba. 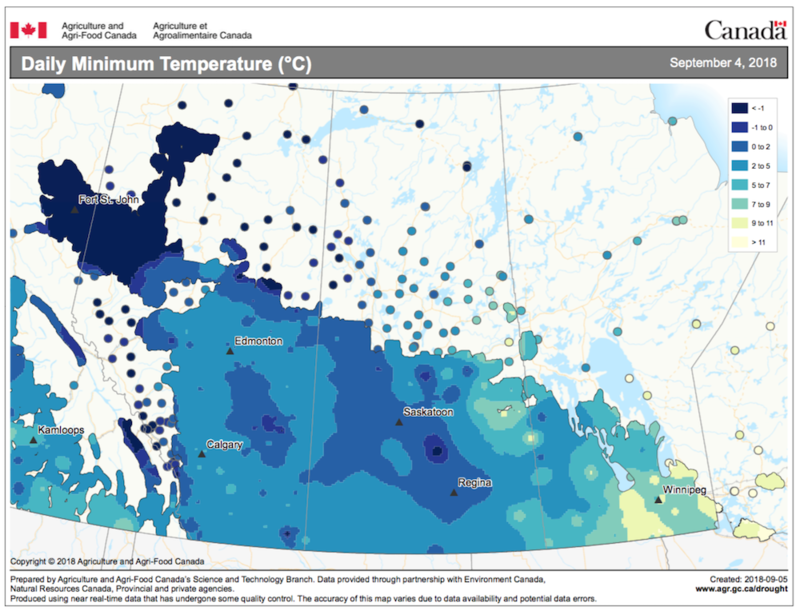 Morning temperatures by location in Manitoba for September 5. Manitoba station map.